Looking at those numbers, Bradley contributed everywhere outside of batting average and so he seemed to finally make good on his potential that first made him a sleeper back in 2014. Unfortunately for Bradley it took some very rough stints with the team in 2014 and 2015 before he started figuring out Major League pitching. Alas we are here to throw some cold water on Bradley for 2017 as there are some troubling signs that need to be discussed. In delving into the numbers some more, Bradley Jr. still has not solved his previous contact issues as his 22.5 K/9 rate last season was still quite high; albeit down from the ugly 27.1 mark in 2015. Bradley Jr. did also get a bit of BABIP luck (.312) as well to help push the average up some more. However as good as Bradley was early on last season, opposing pitchers seemed to find some holes to attack in the second half as his average during that span sank to an awful .233. Making matters more concerning was the fact Bradley Jr's OPS against lefties was a woeful .665. AS a result, the Red Sox were forced to dump Bradley down toward the bottom of the order which of course is not a great spot to be in terms of helping the counting numbers. Now while some will point to the impressive 26 home runs, Bradley Jr. accomplished this in a massive 636 at-bats which takes some of the glow off of that number. With speed that doesn't translate to a high number of steals and an average that will likely continue to hurt his owners, Bradley Jr. all of a sudden looks much less of a guy you want to build around. In conclusion, while there is no denying the progress Bradley Jr. made last season with his offensive haul, he is still quite rough around the edges overall. All Boston Red Sox players get drafted a bit higher than their numbers would suggest given the high visibility of the locale there and that will just add to the disappointment Bradley Jr.'s owners will feel. Again solid player for your outfielder 3 spot but nothing more. Ahhh shortstop. Once a golden position that included Derek Jeter, Alex Rodriguez, Nomar Garciaparra, and Miguel Tejada ll in their primes, shortstop had become nothing but the most shallow hitting position in fantasy baseball over the last few years outside of maybe catcher. That is until 2016 when a sudden explosion in top tier talent emerged. Perhaps forming a new "Big Four", Carlos Correa was joined by Corey Seager, Francisco Lindor, and Xander Bogaerts as top 24 players as 2017 fantasy baseball moves closer. In addition, last season also was the year of the shortstop value as guys like Trevor Story, Jean Segura, Brad Miller, Jonathan Villar, Marcus Semien, and Aledmys Diaz all came out nowhere to produce huge offensive seasons. What this all means now is that shortstop is all of a sudden quite deep as I just named 10 very good to great starting options which pretty much fills out a standard 12-team league. And I didn't even mention the fading but still impactful Troy Tulowitzki and still emerging Addison Russell. So what does this all mean for 2017 fantasy baseball? What it means is that you should do your best to resist the urge of using a first or second round pick on Correa (who disappointed as a first round pick last season), Lindor, Seager, and Bogaerts and instead go value here in picking out someone from the Segura, Villar, Semien group. You can get any of those three in Round 4 or later and that means you can grab your powerful first baseman and five tool player in the first two rounds. Again you would love to have Seager or Correa in particular but the best path is to wait just a bit. 1. Mike Trout: The most obvious pick of any position anywhere. Trout ran at will again last season after a two-year break to go with his tremendous contributions in the other four categories. Should be the top pick in all leagues. 2. Mookie Betts: Blew the doors off of any projection anyone had for Betts last season as he exploded to 31 home runs and 113 RBI. Throw in 26 steals, 122 runs scored, and a .318 average and you can call Betts a close second to Mike Trout in all league drafts. 3. Bryce Harper: Dealt with nagging injuries which help explain the sizable drop in Harper's numbers last season. This is still the same guy who had a video game-like 2015 campaign and also keep in mind Harper ran like he was a rookie again last season with 21 steals. Look for Harper going right back to the 40-home run plateau with good health. 4. Charlie Blackmon: Blackmon seeingly gets better each and every season but he is now trading steals for home runs which we will take. There is a big home/road split as expected (.900 OPS at home/.727 on road) but the end numbers are still terrific. 5. Trea Turner: While he will be the Nats' every day shortstop this season, Turner still retains outfielder and second base eligibility for 2017 which is icing on the cake. While we are a bit skeptical of the vast rise in HR rate as a rookie last season, Turner should challenge for the stolen base title while hitting .300 or better. Along with Gary Sanchez, no one player will be fought over more in drafts. 6. Ryan Braun: The guy is a jerk personally but I can't argue with the very good back-to-back seasons Braun had in 2015 and 2016. While he is running a bit less as he ages (down to 16 steals a year ago), Braun is still mashing (30 homers) and plays through injuries. 7. Giancarlo Stanton: I think Stanton is now firmly in the "overrated" bin as his monstrous home runs and Home Run Derby displays push up his draft slot beyond where it should be. Given that Stanton still has never hit 40 home runs and has averaged just 115 games played per year in hsi career, some prudence should be in order here when it comes to where you select Stanton. Also Stanton has stopped running and his average is ugly considering how much he strikes out. Resist the temptation to reach for the name brand. 8. Starling Marte: Marte still strikes out a lot but his live drive rate is very good and he ran so much more in 2016 (career-best 47 steals) which helped overcome a dip in power (9 homers). Look for Marte to bring those two numbers close together this season which will keep a firm outfielder 1. 9. A.J,. Pollock: No this is not too high a ranking as Pollock was a top ten fantasy baseball outfielder going into 2016 before his injury disaster of a year. Consider last season a throw out year and start over for 2017. Keep in mind Pollock hit 20 home runs, stole 39 bases, scored 111 runs. collected 76 RBI, and batted .315 just two years ago. Still just 29, Pollock is the real deal. 10. Nelson Cruz: Despite moving from Baltimore to spacious Safeco Field in Seattle, Nelson Cruz is now working on three straight 40-home run seasons. Always underrated, Cruz is aging a bit at 37 but shows no signs of slipping. Try him out as your main outfield power source for one more season at least. 11. Yoenis Cespedes: Cespedes leaves some people wanting more but it is time to appreciate the fact the Cuban has upped his average to a helpful range the last two seasons while still pounding out home runs at a 30-plus clip. 12. Ian Desmond: Yes is stunk that Desmond left Texas but he went to arguably an even better home park in Coors Field after inking a deal in free agency with the Rockies. Desmond got himself back to 20/20 territory with the Rangers last season and he should be right around that ratio again with a .280 or so average. Just keep in mind shortstop eligibility is a thing of the past. 13. Gregory Polanco: While Polanco is still not a finished product due to his shaky average, Polanco is on the cusp of being the next Starling Marte in terms of being a 20-home run and 30-stolen base outfielder. Get on board now as Polanco is ready to push himself into outfielder 1 status. 14. George Springer: I personally am a bit cool to Springer as he seems like he is settling into a .260 hitter whose speed declined to just 9 steals last season. The 29 home runs were nice on the surface but Springer did that in a massive 744 at-bats which takes some shine off. We can accept the shaky average if Springer is running but that doesn't look like it is part of the equation anymore. 15. Mark Trumbo: Massive power and I personally made a huge profit on Trumbo last season as I recommended you all buy very low after he signed with Baltimore. He is still without a home as of this writing but Trumbo is a 40-home run masher who will supply 100-RBI as well. Just keep in mind the ugly average that goes along the ride. 16. Andrew McCutchen: This could be too low to rank McCutchen but he showed some very disturbing signs last season ins swiping just 6 bases and batting an ugly .256. Injuries could have played a role but that is what 2017 will determine. 17. Carlos Gonzalez: CarGo has evened up his home/road splits the last two years and he has found some more durability as well which is always a big plus for the previously health-averse outfielder. The steals are long gone but 25-30 home runs is a certainty. 18. J.D. Martinez: The Detroit outfielder has settled into being a 30-home run guy with a .280 average but nothing in the way of speed. That works nicely as a top-end outfielder 2. 19. Christian Yelich: Yelich is a future batting champ who comes off a strange 2016 where the steals anticipated never materialized but the power was better than anyone thought. This stock is still moving upwards but Yelich remains a bit of a puzzle. 20. Adam Jones: You can write in ink 25-30 home runs and 90 RBI for Jones each and every season but the steals are gone for good. Dependable as heck but Jones is no longer as flashy as he once was a few seasons ago. 21. Justin Upton: It took Upton four months to find a comfort zone in his first season in Detroit but overall he remains a flawed hitter who runs extremely hot and cold. Upton's average is now firmly in the liability realm and he doesn't seem as interested in running much anymore. As overrated as it gets. 22. Jose Bautista: Back in Toronto where Bautista remains in a prime power park. Home runs and RBI are pretty much the total calling card for the 36-year-old as Bautista has hit just .250 and .234 the last two years. Joins Upton as more name brand than actual production. 23. David Dahl: Call me overly bullish on the Rockies youngster but this is a potential five-category Charlie Blackmon-clone who will never come cheaper. 24. Stephen Piscotty: Yes Piscotty is one of "MY GUYS" but this youngster is a terrific pure hitter who tapped into some new power in 2016 (22 home runs) and who can take the odd base (7 steals). Lots to like and the price remains affordable. 25. Lorenzo Cain: Injuries derailed Cain's numbers in 2016 but he is still a guy who can contribute in all five standard ROTO categories when he right. While the power is not likely to leave the teens, Cain will be excellent everywhere else. 26. Michael Brantley: Tough to slot Brantley as he missed pretty much all of 2016 with ongoing shoulder trouble and he still is not 100 percent. He is one of the best pure hitters in the game and Brantley at full health can perform like a top 20 guy. 27. Odubel Herrera: Discussed my love Herrera in more depth the other day but in short, this is already a give-tool guy who has some room to get even better. 28. Kyle Schwarber: Easy 30 home runs here and maybe a re-acquisition of catcher eligibility. But boy does Schwarber have no position on the diamond. 29. Matt Kemp: We are starting to get into the power guys who don't run and that is what Kemp is now. He comes off a 35-home run campaign that showed that he is far from done despite losing almost all his speed. 30. Dexter Fowler: Not my cup of tea as Fowler is a decent but not impactful fantasy baseball player. He will do a little of this and a little of that but the move to St. Louis takes away some of his already modest power. 31. Billy Hamilton: You all know how I feel about Hamilton who is grossly overpriced each and every season and 2017 will be no different. This is a gadget guy all the way but one who could win the steals category for you by himself. I still think you wait ten rounds and draft Jarrod Dyson or someone like that later. 32. Jackie Bradley Jr.: Bradley Jr. really came into his own in 2016 but his second half struggles were a bit of a red flag. It could be that opposing pitchers got a handle on Bradley whose .267 average was actually as good as you could expect given his strikeout tendencies. With just modest speed, (9 steals), Bradley could go bust for you. 33. Andrew Benintendi: Like with David Dalh, Andrew Benintendi is right there as the best hitting sleeper for 2017 fantasy baseball. The injury issues he suffered last season with the Red Sox will be a blessing in disguise as it should keep this future five-tool stud's price down a bit. Maybe. 34. Marcell Ozuna: Two of the last three years now we have seen Ozuna go off with his power but his average is a bit shaky and he doesn't run which limits the overall upside. 35. Adam Eaton: Amazing to this day how much the Washington Nationals gave up to get Eaton. Now Eaton is a nice player who can go 15/15 with a .290 average which is very nice but don't let that trade fool you into thinking he is a star. 36. Hunter Pence: Age shows mercy on no one and Pence is all of a sudden injury prone as he has dealt with missed games for large stretches of the last two seasons. Still he batted .289 with 13 homers and 1 steal in just 395 at-bats last season so the hitting numbers are still there. Now just an outfielder 3 though. 37. Byron Buxton: The much-hyped Twins prospect showed signs of finally tapping into his vast potential last season but he still has holes in his swing which need to be covered. It is still not too late for him to realize those 20/30 seasons. 38. Josh Reddick: Reddick is Adam Eaton but with more injuries. In fact Reddick has more power than Eaton and could pass him if he can stay on the field. 39. Khris Davis: You get massive power here but a hurtful batting average from the "K" version of "Chris" Davis. 40. Adam Duvall: Again another guy who can really collect the power numbers but put a hurt on your average. 62. Rajai Davis: Always seems to find the at-bats and put up big steal numbers. Aging but Davis swiped 43 bags a year ago and will start for the A's. 63. Max Kepler: Opened eyes by hitting 17 homers and stealing 6 bases in just 396 at-bats. Struggled badly against lefties though and Kepler was horrible in September. 64. Tyler Naquin: All in all Naquin was excellent replacing Michael Brantley as he went 14/6 and batted .296. Was not much of a prospect though so Naquin could easily come back to earth. Also not guaranteed playing time with a healthy Brantley. 65. Michael Saunders: Love the landing spot in Philadelphia where Saunders' good power can remain potent. Just understand though Saunders doesn't run anymore (1 steal last two years) and his average is always ugly. 66. Jason Heyward: Was beyond brutal in his first go-round with the Cubs but Heyward can only go up from here. Good for 20 steals and a few homers if all breaks right. 67. Melvin Upton: Quietly had a nice year with 20 homers and 27 steals and now plays home games in Toronto. Yes please despite the ugly average. 69. Hunter Renfroe: Talked about him earlier in day but in summary, big power potential. 70. Alex Gordon: Aging and coming off a terrible season. Gordon's speed is long gone and his average is falling under the weight of an increased K rate. 71. Andrew Toles: Could catch on with the Los Angeles Dodgers and Toles has hit at all levels. Mostly a lottery pick. 72. Steven Souza: Has some power/speed juice but a good average for Souza is .250. 73. Cameron Maybin: Has had a tough time staying healthy lately but Maybin was actually pretty darn good on a per game basis the last two seasons. 74. Mallex Smith: Could steal a crazy amount of bases as long as the hits keep falling. 75. Jarrod Dyson: Another speed demon who could pile up steals in a hurry. 76. Aaron Judge: Not sure if Judge will even make the team but the power is immense. 77. Nick Markakis: Now mostly a decent average and good runs/RBI guy and not much else. 78. Jayson Werth: He has no more speed and an average that keep dipping but Werth at least can pop some homers. 79. Roman Quinn: Stole 41 bags last season in the minors for the Phillies but could be blocked after Saunders signed. 80. Avisail Garcia: The hype has not matched the results here and so Garcia is nothing more than a backup bat. 81. Manuel Margot: See our Draft Sleepers for details on this speedster. Looks like a young version of Ben Revere. 82. Shin-Soo Choo: Can still hit for power in a great ballpark but Choo's injuries and total elimination of speed make him just a boring veteran. 83. Ben Revere: Healthy, fresh start, and good track record makes Revere a good guy to buy low on as your speed merchant. 84. Scott Schebler: Hit .311 with 13 homers at Triple-A last season and will get a good chance to stick on the rebuilding Reds this season. 85. Denard Span: Shocked with 21 home runs last season but that number is a big outlier for Span and his career. Drop to just 5 steals and a shoddy .266 average shows Span's age. 86. Hyun-Soo Kim: Kim showed in part-time duty last season that he can handle the bat but he needs to play more to gain additional fantasy baseball prominence. 87. Robbie Grossman: Looks like a Quad-A player to me but Grossman is still just 27 and hit 11 homers in just 332 at-bats last season. 88. Alex Dickerson: Power/speed guy who lit up Triple-A last season (.382 in two months there) but Dickerson is already 27 and has to show he is not another Quad-A guy. 89. Gerardo Parra: Parra's first season in Colorado didn't go well and now he could be pushed to the bench by David Dahl. 90. Angel Pagan: Can still run a bit and hit around .280 but Pagan is clearly on the down slop of his career. 91. Seth Smith: If you play him just against lefties in a platoon on your roster, Smith can help with his power. 92. Kevin Pillar: Was very disappointing last season when it looked like Pillar was on the verge of becoming a decent power/speed guy. Now likely getting squeezed out of a meaningful role. 93. Colby Rasmus: We have tired of the all-or-nothing game of Rasmus who will destroy your team average while hitting some bombs. 94. Paulo Orlando: Get set to move up Orlando is he nets a starting job this spring as he is a solid hitter who can run. 95. Brandon Drury: Opened some eyes with good overall hitting early on last season but Drury is just a bench outfielder. 96. Nori Aoki: Can hit .280 in his sleep but Aoki is not running anymore. 97. Franklin Gutierrez: The nice 2015 story didn;t carry over into 2017. Gutierrez could already be out of chances in Seattle. 98. Michael Taylor: Only has value if injures open up an opportunity. 99. Trayce Thompson: Yet another in a huge fraternity of guys who can hit for power and not average. 100.Socrates Brito: Can run all day but again needs a chance. Sometimes location means everything. That applies to buying a home and in buying fantasy baseball players as well. In fact if Colorado Rockies hard-throwing starter Jon Gray made his home base anywhere else in the majors, he would likely be drafted as a top 10-15 pitcher hands down. After all, this is the same Gray whose power arsenal stuck out 185 batters in just 168.0 innings last season for the Rockies; a K/9 rate that came out to a glowing 9.91. Gray also had one of the most talked-about outings of the season when he struck out 16 batters while making a start at Coors Field. Unfortunately Gray did do some ratio damage to his owners last season as he his 4.61 ERA was quite high and his 1.26 WHIP straddled the mediocre realm. Combined together, those two ratios will likely push Gray's 2017 fantasy baseball stock below where it should be and as a result, present to you his future owner a prime buying opportunity this spring. Why am I so high on Gray? Well besides the obvious being that Gray is likely to sail past 200 strikeouts this season, one look at his 2016 advanced numbers tell the story of a guy who was a much better starter then his 4.61 ERA showed. For one thing, Gray suffered from some rough BABIP luck as his XFIP ERA of 3.61 bore out. With a neutral BABIP this season, Gray could easily be in the mid-to-low 3.00 ERA range this season and his WHIP will move closer to 1.20-1.22 also. Throw in the 200 strikeouts and all of a sudden Gray looks like an SP 2 for a guy you can draft as more of an SP 3/4. Want some more gaudy numbers? Try the fact that Gray's 0.96 HR/9 rate was excellent considering his home ballpark; not to mention his 3.14 K/BB rate was tremendous. When you throw those numbers in, Gray really seems on the verge of a huge jump in value this season. So when the draft rolls around this spring, be sure you leave a spot handy for Gray and his impending breakout. Yes it is scary picking up any pitcher from Colorado but the fact Gray doesn't give up a lot of home runs and walks to go with a high K-Rate means he is headed for something big this season. 48. Alex Reyes: Speaking of heading upwards, a lack of control is the only thing keeping Reyes from doing a nice imitation of his rotation-mate Carlos Martinez. 49. Sonny Gray: I sounded the alarms here starting in early 2015 as Gray began to lose velocity. The bottom completely fell out last year and while it is impossible to imagine such a horrid repeat, Gray's K/9 has dropped each of the last three seasons. Look on by. 50. Julio Urias: Likely will start the year in the minors as the Dodgers look to keep Urias' innings down but the outlook is very bright for this strikeout-inducing kid. 51. Matt Shoemaker: Has been a quietly impressive strikeout artist since becoming a starter with the Angels and the draft price will be low coming off that scary HBP to the head at the end of 2016. 52. Jerad Eickhoff: Doesn't get talked about as much as Aaron Nola or Vince Velasquez but Eickhoff might have the best polish of the three. While he doesn't have the K rate of those two, Eickhoff's control is very impressive for a young pitcher. 53. Marco Estrada: Has now beaten the BABIP curve two years running and somehow is carving out good numbers in Toronto of all places despite a tendency to give up home runs. You get the feeling a blowup and correction is on the way. I won't go near him this season. 54. Kevin Gausman: Hate the AL East which is why I have Gausman here despite some continued growth in 2016. Upping the K rate as he goes along as well which adds to the positive outlook. 55. Joe Ross: Dealt with injuries which hurt his 2016 campaign but Ross has registered ERA's of 3.64 and 3.43 each of the last two years. 56. Lance Lynn: Great buying opportunity here for a guy who always wins games and has struck out 200 batters as recently as 2014. 57. Vince Velasquez: Another young kid who can really deliver the heat. Unfortunately Velasquez may not be able to physically hold up as a starter given his health woes. 58. Taijuan Walker: Gets a fresh start in Arizona but that is not a good match for a guy who gives up home runs. Walker was very hyped coming up but that light has dimmed. 59. Michael Pineda: Struck out 207 batters last season and dealt with some horrid BABIP luck as well which points to a turnaround. 60. Tyler Glasnow: Another young hurler for the Pirates who can strike guys out. Needs to stop walking so many hitters though. 2017 FANTASY BASEBALL ISSUES: SLIGHT DIP IN MADISON BUMGARNER VELOCITY AN OMEN? Ever since San Francisco Giants pitcher Madison Bumgarner cemented himself as a firm member of the team's rotation in 2010, anyone who has witnessed the lefty operate on a mound would quickly come away with the notion he is a slam-dunk top five starter in all of fantasy baseball. In addition to his 200-plus strikeout stuff and excellent control, Bumgarner has also been lauded for his rubber arm that has tossed 200 or more innings now in six straight seasons. The highlight of course was Bumgarner's insane 2014 performance when the Giants knocked off the Kansas City Royals when he put his name up there with the all-time greats in the postseason. So as we move to 2017 fantasy baseball, we have to at least reiterate concerns we have here which have been in place since that ridiculous workload by Bumgarner in 2014. Simply put, there is only so many massive inning seasons in a pitcher's arm before trouble arises and it usually begins with a fastball that begins losing velocity. Pretty soon this pitchers becomes more hittable than ever before and careers can wash out early like what we have seen from Matt Cain, Tim Lincecum, and now maybe Felix Hernandez. While Bungarner is not there yet, the fact his fastball average velocity was down a full mph last season was at least somewhat alarming. Now it could very well be a one-year anomoly as Bumarner is still very young at 27 but keep in mind both Cain and Lincecum began eroding quickly at that age when their velocity dropped. Again not to be an alarmist but Bumgarner will eventually run into trouble with all those innings on his arm and that means you need to think about this before using a late second or maybe early third round pick on the guy. A top five pitcher Bumgarner remains but again there is growing risk here as each and every season goes on by. I am not saying you avoid him outright but Bumgarner is now on the "watch" list in terms of his stuff possibly going the wrong direction. The second baseman are up now as we continue on with our ongoing position fantasy baseball draft strategies. Now as far as second base is concerned, we continue to suggest going first baseman-five tool player the first two rounds of your draft and at this position, Jose Altuve and Trea Turner make the grade with the latter. Altuve and his fantasy baseball MVP numbers the last two seasons is well worth a top five pick in any format but things get tricky if he is out of reach. Turner is becoming vastly overpriced given the fact he has only played half a season in the majors and his power output in 2016 was in outlier territory given his minor league rates. Tremendous talent no doubt but Turner going as a late first round pick seems a bit too rich in my opinion. In getting back to the overall position, we suggest looking for your second baseman in the mid-tier range which contains some very effective but somewhat affordable options you can get in Rounds 4-6 like Matt Carpenter, Dee Gordon, D.J. LeMahieu, Jean Segura, Jason Kipnis, and Ian Kinsler. Any of these guys would make a terrific starter for your team and you don't need a pick in the first three rounds to get them. Sop stick with your five-tool player, first baseman, and either third baseman/outfielder (depending on who the five-tool player you took earlier) when you compile your selection early on in the draft and select your second baseman soon after. Sometimes a pitcher or hitter who appears in very small injury-abbreviated sample sizes can get lost in the shuffle and remain off the fantasy baseball radar. This certainly applies to emerging Seattle Mariners lefty James Paxton who over the last three years has been hinting to us that there is some big-time potential lurking in his arm. We saw injury-abbreviated when it comes to Paxton due to the fact the label fits him like a glove going back to 2014. That was when Paxton made his first extended foray into the majors with the Mariners and immediately gained notice when he logged a 3.04 ERA in 74 innings for the team. The same thing happened in 2015 as Paxton this time got into only 67 innings with the team but still was solid with a 3.90 ERA. In both those campaigns, Paxton put up a decent but not great mid-7.00 K/9 rate and also struggled with control as his BB/9 went above 3.50 in each. However Paxton really became a major source of interest last season as he began to work out the kinks and hint at front-of-the-rotation ability for the M's. While again limited by injury, Paxton pitched to a 3.79 ERA in his 121 innings and better yet, boosted his K/9 to 8.70 and vastly lowered his BB/9 to a terrific 1.79. With Paxton also not giving up home runs (0.67 HR/9), he clearly was putting it all together as a pitcher. Now 28 and entering into 2017 as a firm member of the Mariners rotation with emerging high-end stuff in a spacious ballpark, Paxton now belongs on almost all the fantasy baseball sleeper lists that are out there. Consider that Paxton's FIP ERA last season was a tiny 2.80 and you can see more clearly how he is a guy that could supply you some crazy value this season. Paxton's draft price is quite affordable and that makes him a tremendous buy-low arm to use as your SP 4. With an ability to pitch so much above that draft level, Paxton is one of the better value upside sleepers this season. 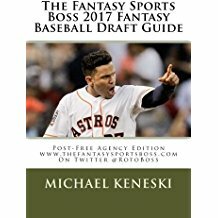 If you haven't done so already, be sure to pick up the copy of The Fantasy Sports Boss 2017 Fantasy Baseball Draft Guide: Post-Free Agency Edition. With Yahoo Fantasy Baseball no underway, this is the perfect time to get our latest draft guide with Houston Astros second baseman Jose Altuve on the cover. Inside are our latest updated rankings and analysis that go a paragraph or more on each player plus draft busts, sleepers, ten burning questions, and much more. Use the BUY NOW tab below to purchase directly from us for $19.99 (plus $3.99 for shipping)! 21. Gerrit Cole: Tread very carefully here as Cole had more arm problems last season (second time in three years) and his K/9 rate cratered. Sizable Tommy John risk. 22. Masahiro Tanaka: Speaking of TJ risk, Tanaka continues to pitch with a tear in his UCL but is doing just fine coming off a 3.07 ERA and 1.08 WHIP. Just know that Tanaka's strikeout numbers are now quite ordinary as a result of the tear. 23. Jose Quintana: No this is not a typo as the durable Quintana continues to get better and comes off a 2016 campaign where he reached high's in ERA (3.07), WHIP (1.16) and strikeouts (181). 24. Matt Harvey: This is me predicting a healthy Harvey comes back to being a high-K starter who knocks on the ace-level door. 25. Kenta Maeda: MRI shows all sorts of elbow trouble that could blow up at a moment's notice but Maeda's 9.29 K/9 rate shows how much he fooled batters as a rookie. 26. Aaron Sanchez: I suggest avoiding Sanchez this season as his K/9 is mediocre and he comes off a MASSIVE uptick in innings compared to 2015. This almost always leads to depressed numbers and health woes the following season. 27. Zack Greinke: The velocity is still slightly leaking and Grienke was torched at Chase Field all of 2016 which are big potential problems. Downward we go. 28. Lance McCullers: Massive strikeout upside here but McCuller's control was hideous last season and his high-octane stuff makes health iffy. 29. Rick Porcello: Love the durability here but Porcello got some sizable BABIP luck last season and the benefit of the Red Sox lineup supplying a bunch of run support. Decent pitcher no doubt but Porcello is more an SP 3 than a Cy Young winner. 30. Felix Hernandez: This is a huge drop in the rankings for Hernandez but understandable as he comes off two rough seasons in a row. The fastball velocity is down 5-mph and counting and Hernandez is also losing his control (3.82 BB/9). Avoid. 31. Michael Fulmer: Was the definition of ridiculous at times during his rookie season for the Tigers but keep in mind Fulmer is a not a huge strikeout guy. Beware of a slight sophomore slump as well. 32. Jon Gray: all the advanced indicators are suggesting Gray is going to be a 200-K ace-level starter as soon as 2017; home ballpark be damned. 33. Marcus Stroman: Many will shy away from Stroman after his tough (4.37 ERA) campaign last season but his vast FIVE pitch arsenal and splendid control point to SP 2 status. 34. Danny Salazar: The poor control reared its ugly head again last season and Salazar's rough delivery got him injured as well. While we love the extreme strikeout stuff, Salazar is a big boom-or-bust pitcher. 35. John Lackey: Actually reached a new career-high in strikeouts last season at the age of 37 and Lackey is as dogged as a pitcher gets. Can still be quite useful as an SP 3 for another season. 36. Aaron Nola: Again this is me being a firm believer in the ability that Nola has. Like with Jon Gray, all the advanced metrics say Nola will be an ace-like starter and he was every bit of that the first two months of last season before injuries hit. 37. James Paxton: Group Paxton in with Nola and Gray for vast upside. Advanced numbers suggested Paxton has upper-level stuff which he has shown in spurts the last two seasons. 38. Rich Hill: What a story this guy is as Hill is defying every trend or prediction at the age of 37. Hill still strikes guys out at a level that an ace would and a 2.12 ERA last season pretty much says it all in terms of current ability. 39. Julio Teheran: Good pitcher on a bad team so wins will be tough to come by. 40. Dallas Keuchel: Correctly said Keuchel would go bust last season and boy did he as the ERA spiked to 4.55 and the health went bad. While I think Keuchel will be better this time around, he is still nothing more than SP 3/4. We are up to the first baseman as we continue with our position draft strategy for 2017 fantasy baseball and flat out, this is where you want to go when it comes to finding a major dose of your team’s power. One of our sacred draft commandments is to almost guarantee yourself of having a first baseman by the end of Round 2, so important is it to get a top thumper there. What makes this so important as well is that the rest of your league knows this as well and so they too will be going hard after a slugging first baseman among the top 24 selections. So in order to not be left behind when it comes to formulating your team compared to the rest of your league, you need to be full-bore into this position right away. In addition, it would be a great idea to double-dip here as well when it comes to securing your UTIL or CI spot. Grabbing a second slugging first baseman to fill your UTIL or CI spot is a great idea as you really will cement your power numbers going that route. Just be sure not to go too early when making that choice as you want to have some roster flexibility with your picks and clogging up the UTIL or CI spot too early removes that ability. The Seattle Mariners are a few weeks from the start of spring training like the rest of Major League Baseball but their manager Scott Servais has already gone on record saying that newly acquired outfielder Jarrod Dyson is in line to be the team's everyday leadoff hitter. Having served as a part-time fourth outfielder since debuting with the team in 2010, Dyson's massive speed always makes him a sleeper candidate at this time of the year in the hopes he could become a starter. That never happened in Kansas City though save for some injury replacement stints but the Mariners fully plan on having him as an everyday leadoff man for 2017 which means Dyson could be a darkhorse candidate to lead baseball in stolen bases. Consider that despite being a part-time player, Dyson has at least swiped 30 bases in four of the last five seasons. If Dyson does stick as an everyday leadoff batter, 50 is not out of the question here. With a draft price that remains very cheap, Dyson could be a swell late round add. It wouldn't be an MLB offseason without a Victor Martinez surgery. With a series of knee surgeries in his recent winter past, Martinez added a hernia procedure this past October which was not revealed until Detroit Tigers general manager Al Avila said as much on Thursday. Avila did go on to say that Martinez is already 100 percent health-wise and that he is a full go for the start of spring training. Now 37 years old, Martinez is on borrowed time as a fantasy baseball contributor but he pulled himself back from the statistical abyss in 2016 by swatting 27 home runs and batting .289 as the team's DH. That marked the second big year out of the last three for Martinez who back in 2014 batted .335 with a career-best 32 bombs. Alas Martinez did start to show some age last season as his 15 percent strikeout rate was the highest of his career and that suggest the bat speed is slowing some. Also despite being the DH, Martinez is still a decent injury risk given his age. He remains one of the best pure hitters in the game though and should be able to squeeze another 20-25 home run season with a solid average for a relatively cheap fantasy baseball price at the draft table. The wait for 40 home runs goes on. For the third frustrating season in a row, Miami Marlins slugger Giancarlo Stanton had a large chunk of his season interrupted due to injury. This time it was a serious groin pull in mid-August that shut Stanton down for a majority of the rest of 2016 as his owners were once again left without their big home run weapon when fantasy baseball leagues were being decided. Prior to the injury, Stanton was having a somewhat rough season as his home run rate was behind his 2014 and 2015 pace and the batting average became a major liability as he finished with a shaky .240 mark. With a near-neutral BABIP of .290, no luck could save Stanton’s average after he put up an insane K/9 rate of 29.8 percent and combined that with a 10.6 BB/9 that was his lowest number there since 2010. In other words, Stanton was hacking like never before and while the 27 home runs were very helpful indeed, the rest of his offensive package was not very good. Right now we have to accept that Stanton is not the first round pick that he was the last two years given the average troubles and rampant injuries. Also the brief burst of steals from 2014-15 seems gone for good as well. There is not a better pure home run hitter in all of fantasy baseball though than Stanton but he simply can’t be counted on for a full year of at-bats which calls into question what you are willing to pay at the draft table this season. The Cleveland Indians got themselves some insurance Wednesday in case Michael Brantley can't get himself ready for the opener as he comes back from a second shoulder surgery by signing free agent Austin Jackson to a minor league deal. Jackson comes off a rough 2016 campaign where he hit just .254 for the White Sox before he was forced to undergo surgery for a medial meniscus issue in his knee. While still young at the age of 30, Jackson is just the latest example of how a player who gets a great deal of value tied to their speed tend to erode quite quickly when it comes to fantasy baseball. Often a stolen base guy like Jackson was when he first arrived on the scene sees their steals start to ebb by the time they hit 30 and if there is no power to complement the lost stolen bases, a player can go right to waiver wire territory almost overnight. That is where Jackson currently is as he swiped just 2 bases in 181 at-bats last season and his power was never great to begin with as he has just a total of 13 home runs in the last three years COMBINED! In addition, Jackson has hit just .256, .267, and .254 the last three season which means he really has little to no value unless you take part in a deeper AL-only formats. Look on by. One of the bigger storylines during the MLB Hot Stove Season was the trade chatter surrounding veteran New York Mets outfielder Jay Bruce. With the Mets having successfully re-signed Yoenis Cespedes to join Curtis Granderson and Michael Conforto in the outfield for 2017, the team quickly went about offering Bruce to anyone who would listen in return for relief help or salary cap relief. Unfortunately for the Mets, Bruce also fell into another storyline which was the utter indifference teams had to veteran outfielders like Bruce, Mark Trumbo, and Jose Bautista in free agency. As a result, the Mets made the announcement on Tuesday that Bruce would be the team's starting rightfielder to begin 2017 which surely was a decent surprise for all involved. So with that said, let's take a closer look at Bruce in terms of what he could provide both the Mets and his fantasy baseball owners this season. When it comes to Bruce, his reputation as one of the better pure power hitters in fantasy baseball remains true and should stay that way for another few seasons as he continues to go through his prime years. However Bruce is now going to be operating in a prime pitcher's park in Citi Field with the Mets for the first time in his career and needless to say, the small sample size of him playing there last season was not impressive at all. Bruce wound up hitting a listless .219 with the Mets in his two-month stay there after coming over at the trade deadline and he was even benched for some games at the start of September as the slump got quite bad. Still Bruce rallied to have a good last two weeks of the regular season and so here we are in gazing toward 2017. In further digesting the numbers, Bruce is strictly an outfielder 3 in terms of fantasy baseball which is a sharp drop from knocking on the outfielder 1 realm earlier in his career. The fact of the matter is that Bruce is a flawed overall hitter who has holes in his swing and an annually high K rate. Yes Bruce's K/9 of 21.4 last season was his lowest since 2009 but he remains a pure slugger through and through which means expecting anything more than a .260 average is foolish. Bruce has also stopped running after being a guy who cold net 8-12 steals earlier in his career. That means Bruce is really just a home runs and RBI asset, while remaining neutral in runs scored. With the upside years no longer in play here, Bruce should not be more than an outfielder 3 for 2017 fantasy baseball. So when it comes to Bruce, your best bet is to let him go to someone else given the likely dip in home runs and RBI moving from the launching pad in Cincinnati to spacious Citi Field. Also Bruce's average won't help you and that makes him even more of a risky pick. Flat out, Bruce is not worth the aggravation. With our position rankings almost complete, we delve into another annual feature as the 2017 fantasy baseball season continues to take shape. Today we begin with our position draft strategies where we share what we believe to be the correct way to address the hitters and pitchers when players start to get picked. 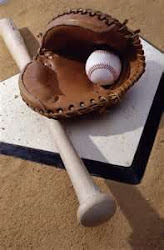 The catchers are up first and we will go on the premise you play in a one-catcher format which is what most leagues use. That is the correct setup as well since catchers are an incredibly shallow group and playing two is almost impossible sometimes. Now in terms of how to handle catcher in the draft, we once again strongly and fiercely subscribe to the "wait until later" mantra when it comes to addressing this position. We have seen countless times over the years how drafting a catcher in the first 5-7 rounds is a colossal mistake and one that can damage your roster. While we all would love to own Buster Posey, it simply is the wrong way to go. For one thing, catchers are the most injury-prone players in fantasy baseball besides pitchers. Getting hit by tipped balls, run over in home plate collisions, and the typical wear-and-tear of squatting so much, catchers are an injury waiting to happen. You always want your early round picks to be as safe an investment as you can make and catchers fly in the face of this strategy. In addition, catchers get 1-2 days off a week for rest and maintenance and that alone takes away counting stats that you could be getting from an outfielder of first baseman for that high draft pick. What makes this more hurtful for you if you draft a catcher early is that the rest of your league mates will be stocking up on hitters who man another position and play everyday while you go with a catcher who will likely come up with the lest amount of numbers then any other players selected in that round given all the days of they will accrue alone. That is a losing proposition right there. Finally when it comes to Posey, he was good but far from great last season as his power was down and so was his counting numbers. Those who drafted Posey in the third or fourth round last season got hosed related to the other players drafted in those rounds. We firmly go with the value play at catcher with two premises. The first is to go with a young up-and-coming catching prospect which has yielded some huge mid-round value over the years or go with a veteran who is coming off a down year due to injury or bad luck. Some names that instantly come to mind who can be had in the middle-to-late rounds and do a very good job for you include Matt Wieters, Wellington Castillo, Wilson Ramos, Stephen Vogt, and Derek Norris. Prospects that would work would be Tom Murphy, Bruce Maxwell, or Wilson Contreras. So this should be the way you go when it comes to handling the catcher position in your draft this season and in particular target Ramos, Murphy, and Contreras. Sometimes before a fantasy baseball season even gets started, you just know that a certain prospective closer is going to fail and likely quickly. Think Fernando Rodney at any of his million stops, or more often with an unproven guy who doesn't have a high K rate, these closers are guys you don't drat but instead select their backups in forecasting the doom which seems imminent. Such a situation could very well unfold in Texas where closer chaos has reigned for the last two seasons. Whether it was Neftali Feliz or Shawn Tolleson, the ninth inning for Texas has been an annual adventure and 2017 looks like it could be more of the same. Right now the Rangers are going to go into the season with San Dyson in the ninth and on the surface this would be understandable when you see he converted 38 saves with a 2.43 ERA and 1.22 WHIP. Terrific looking numbers for sure but they don't tell the whole story with Dyson. For one thing, Dyson's 2.4 K/BB rate is pretty poor and is a recipe for disaster in the ninth inning. Also Dyson got quite a bit of batted ball luck last season and when his ERA was adjusted, came out to a more troubling 3.62. Finally, Dyson's overall K/9 rate last season was a below-average 7.0 for a bullpen arm and that alone is a huge red flag. With Dyson not being able to generate a good number of outs though strikeouts, he is in big potential trouble for issues when his BABIP luck evens out this season. Guys who don't miss bats like Dyson are almost always going to give away the closing gig at some point and it seems here it would just be a matter of time before this would occur. Now in terms of who would be next in line, scratch of Jake Diekmann who does throw hard but who is out until the All-Star Break after undergoing surgery on his intestines for collitis. That leaves the very hard-throwing and very interesting Matt Bush. Of course Bush is interesting because of his previous journey in making it to majors as a 30-year-old rookie last May. Bush dealt with a great deal off personal trouble with substance abuse prior to turning his life around and just by making it back he is a success. Upon his promotion, Bush quickly got into he eighth inning where his explosive fastball (which made him such a talked about prospect in the first place in going number 1 overall in 2004) ranked fifth in the majors at an average of 98.2, 61 strikeouts in 61.1 innings ensued. What was really positive was the fact Bush also had good control in posting a 2.04 BB/9. This is very rare for a rookie and also a guy who throws such power stuff. As he goes into the 2017 season, Bush looks like a very good candidate to close eventually and his role in the eighth inning would make him the heir apparent on bullpen setup. So when you evaluate whether or not to draft Sam Dyson this season, be sure you back him up with Matt Bush. Ideally we would punt on Dyson and pick Bush in the late rounds where you could easily end up with the better pitcher. This one is too obvious to not happen this season. There is a certain factor among players in yearly fantasy baseball leagues that are classified as "boring veterans." These are players who, while still quite effective with their numbers, have been around for long enough to the point that the fantasy baseball community gets "bored" with them and starts abandoning these hitters or pitchers in search of someone likely younger with more flash. Think Miguel Cabrera, Elvis Andrus, Carlos Gonzalez, Jason Kipnis, and the subject of this post, Baltimore's Adam Jones. A longtime favorite of this writer, Jones is arguably one of the most yearly consistent players in all of fantasy baseball. Consider that over the last six seasons, Jones has averaged 86 runs, 29 home runs, and 89 RBI's, Jones' batting averages also seems to stick itself in the .275-.285 range as well. Still only 31 and operating in the a top five power park, Jones should be set for another outfielder 1 seasons in 2017 fantasy baseball by the looks of things. What is interesting though is that in early mocks, Jones is being drafted as a low-end outfielder 2 which brings us back to the boring veteran label. Now I will admit myself that Jones is likely no longer an outfielder 1 for reasons we will discuss but at the very least he is a top outfielder 2 given the consistency and still in his prime bat. So let's dig in and find out what is going on here. So why has Jones seen some disrespect at the draft table and entered into the "boring" veteran tier? The most likely reason is that Jones no longer steals any bases. Early in his career while coming up with Seattle and then after arriving in Baltimore, Jones was good for 10-16 steals (a level he reached in 5 of 6 seasons from 2008 to 2013) but he has only swiped a total of 5 combined the last two years which speaks to how that tool is no longer in the arsenal belt. When a player loses steals, this does more to remove the "flash" portion of their outlook in the eyes of the fantasy baseball community and that is what we are seeing with Jones. In addition but not as direct, Jones has seen his average dip to a shaky .269 and .265 the last two years after he was between .280 and .290 each season from 2010 to 2014. What is starting to happen with Jones is that since he is losing his speed, his BABIP is dipping below .300 and into unlucky territory. No longer having the speed to beat the BABIP curve, Jones' average has dropped. With his BABIP being .280 and .286 the last two years, it looks like Jones will be dealing with some poor luck there going into the future which makes him more likely to hit .265 then .280 again. Also Jones' line drive rate was his worst in seven years in 2016 so that adds to why the average is sinking. On the positive side, Jones is still cracking home runs like usual, with his 29 last season right there at his career norms. Throw in 83 RBI and 86 runs and Jones is filling up three categories nicely. So while Adam Jones no longer has the flash he once did, he is doing more than enough to serve as your outfielder 2 for 2017. The guy can help anchor your power numbers and his usual durability stands to make him less volatile others around his draft spot. 81, Manuel Margot: See our Draft Sleepers for details on this speedster. Looks like a young version of Ben Revere. The other day we profiled San Diego Padres outfield prospect Hunter Renfroe whose big power puts him in position to gain a corner spot there to begin the 2017 season. Centerfield should also stand a good chance of seeing a Padres rookie manning the spot but this time it is a player built more on speed and average than power. We are of course talking about 22-year-old Manuel Margot and the former Red Sox farmhand certainly looks like a person of interest for fantasy baseball purposes this season. Ever since he made his pro debut back in 2012, Margot has racked up steals by the boatload as that is clearly the greatest strength of his offensive approach. Margot began to really pair that speed with a good average at Triple-A in 2016 for San Diego as he hit .304 and scored 98 runs and swiped 30 bases. That is a three-category asset based on the numbers Margot compiled and he has the look of a classic leadoff guy based on his solid K/9 rate (18.9 at Triple-A) who can bring those skills to the majors. Think a younger Ben Revere here as Margot profiles the same. There is pretty much no power here to speak of and so he you need to cover that category somewhere else but Margot has a real chance to claim the leadoff spot for the Padres this season and help you in runs, average, and steals. That is well worth a late round grab.